Almost all brick kilns in the country run on coal. India is the second-largest brick producer in the world. The annual demand for clay bricks in India was over 200 billion units in 2016, putting the market size at around $25 billion. However, the largest supplier of industrially produced bricks in India has a market share of less than 0.1 per cent. This reveals the highly unorganised and fragmented status of the brick industry. This is also true for many other developing countries. In contrast, the largest clay brick player in Britain has a market share of 40 per cent. In the US too, large manufacturers in the industry each have a market share of more than 10 per cent. The brick industry is the largest user of coal in India after thermal power plants and the iron and steel industry. It consumes around 35 million tonnes of coal per year or 175g of coal per unit of brick. According to a report by United States Environmental Protection Agency, the industrial sector accounts for approximately 15 per cent of all black carbon emissions in India, with approximately two-thirds of those emissions attributable to brick kilns. Also, some estimates suggest that more than 60 per cent of all brick kilns in the country may be unregistered or illegal. And policy diktats for reducing emissions do not work on illegal set-ups. The author of this article recently visited half-a-dozen brick kilns in the country to explore opportunities for impact investment. The five major areas of concern for market development and climate action are: small sizes of kilns and brick manufacturing entities, energy inefficient processes, choice of fuel, unregistered or illegal status and seasonal operations. The prevailing issues also provide low-hanging fruits for climate action. First, improving kiln design such as transitioning from bull trench kilns (BTK) to zig-zag kilns, which can reduce coal consumption by 25 per cent with a short payback period of just one season. Second, moving from solid clay fired bricks to perforated bricks which can reduce coal consumption by 20 per cent and to hollow bricks which can reduce coal consumption by up to 60 per cent. However, a market transformation is required for such steps to be effective on a large-scale. In an informal market, the unregistered entities do not pay taxes and other costs which put a few registered players at a disadvantage. There are around 1.25 lakh brick kilns in the country. The first step to integrate a large fraction of these kilns into the formal economy is to make registration process simple, cheap and fast. 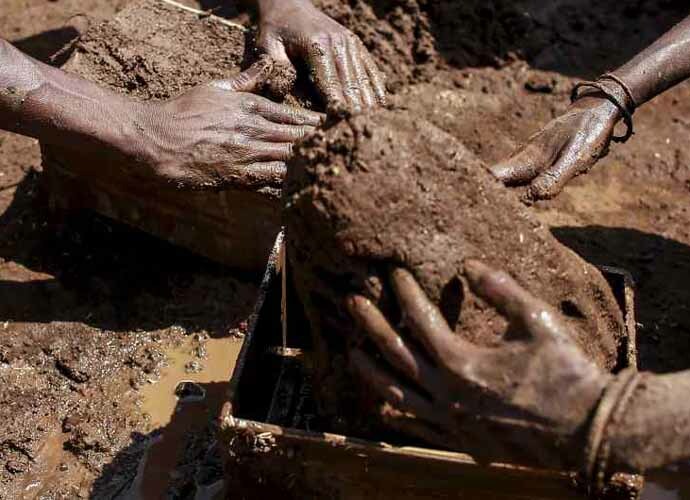 This may include a one-time amnesty to all the illegally-run brick kilns. The second step is to enable brick kiln owners to leverage their registration titles to create wealth. Access to capital is one of the benefits which can incentivise people to opt for registration. Access to secondary market for sale and purchase of kilns is another benefit. To catalyse private capital for the industry, the government interventions and schemes are required. For example, subsidy support to deploy energy-efficient technology. The third step would involve market consolidation. A few measures such as zig-zag kilns can be economically implemented on a smaller scale, but other carbon mitigation measures such as moving to perforated or hollow bricks require economies of scale to justify the business case for additional investment. 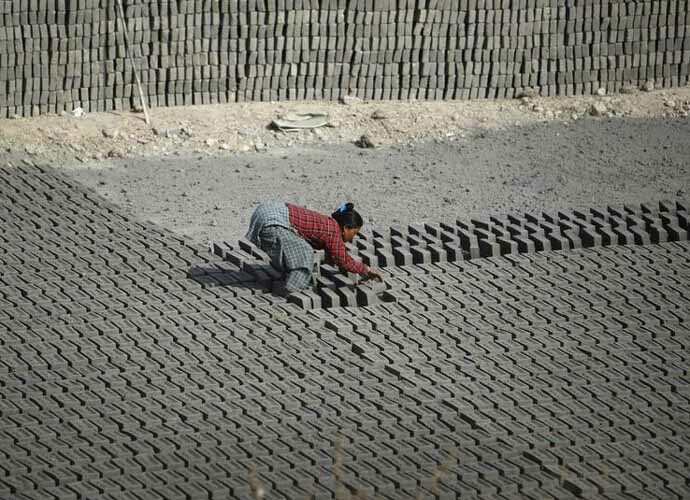 While zig-zag kilns can be built with relatively small investment of Rs 20 lakh, the manufacturing set-up for perforated and hollow bricks requires capital investment Rs 3 crore and Rs 15 crore, respectively, which not even 1 per cent of brick manufacturers in the country can afford. Also, larger manufacturers can make additional investments to enable year-round operations thereby significantly increasing capacity utilisation. The smaller units are unable to work after the onset of rainfalls. Both market conditions such as demand and standardisation as well as policy actions as seen in agricultural land-holdings to some extent can incentivise consolidation. Consequently, a number of larger manufacturers may emerge in the industry. In the US, more than 80 per cent brick kilns are fired with natural gas. However in India, almost all brick kilns run on coal. After the three-step market transformation discussed above, policy and regulatory tools can be effectively used to mandate the use of cleaner fuel such as natural gas instead of coal. The concerted efforts of governments, private sector and local institutions can drive market transformation with positive climate action and yield impressive results. Author is a senior associate (investments) at cKers Finance.